Doctors at Johns Hopkins University Medical Center have transplanted a kidney and a liver from a deceased donor who was positive for HIV into two HIV-positive recipients. 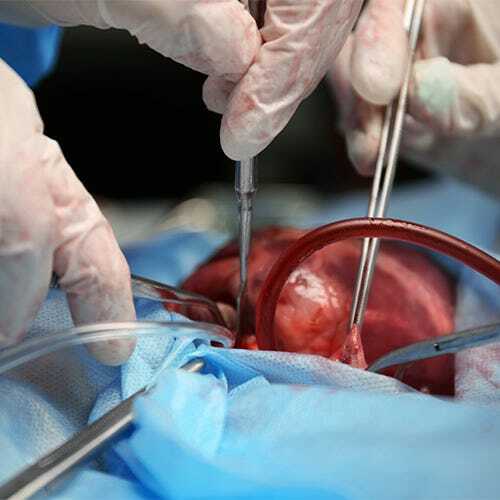 This groundbreaking procedure is the first organ transplant surgery of its kind under the HIV Organ Policy Equity (HOPE) Act signed by President Barack Obama in 2013. Dr. Dorry Segev, professor of surgery at the Johns Hopkins School of Medicine estimates about 500 to 600 HIV-positive would-be organ donors die each year. Segev estimated there would be up to 600 HIV-positive organ donors annually, which could save more than 1,000 lives. “This is an unbelievably exciting day for patients living with both HIV and end-stage organ disease. For these individuals, this could mean a new chance at life,” Segev said. Patients living with HIV tend to die on the transplant waiting list faster than their HIV-negative counterparts. Prior to the HOPE Act of 2013, patients living with HIV were confined by the 1988 amendment to the National Organ Transplant Act of 1984 banned the transplant of any organ from a person with HIV making these transplants illegal. To even study whether these transplants could be safe and effective was illegal. Almost thirty years ago, physicians were concerned that organs from individuals infected with HIV could harm others if used for organ donation. There has since been a growing consensus in healthcare that infected organs should be considered immediately because the alternative could be death. Today more than 120,000 people are desperately awaiting a lifesaving transplant. “We are very thankful to use organs from HIV-positive patients to save lives instead of throwing them away, as we had to do for so many years.” said Segev.